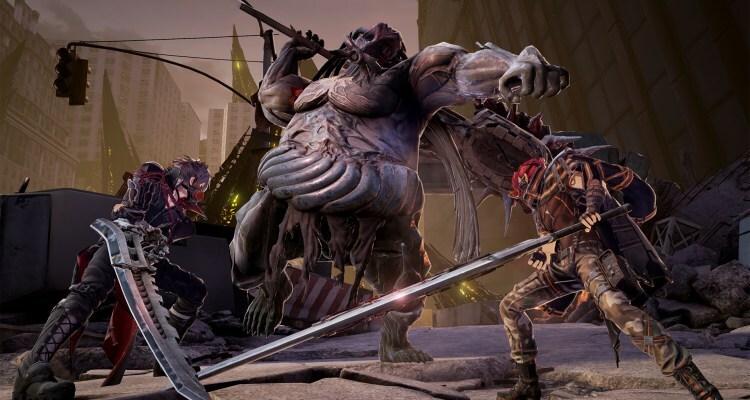 Through its exclusive revelations titled ‘First’, IGN showcased the first seventeen minutes gameplay of CODE VEIN, the new souls-like RPG of God Eater’s development team. CODE VEIN is situated in the near future, where a mysterious disaster made the world as we know it collapsed completely. The buildings of large cities, which were symbols of prosperity, are now enormous tombs representing the past of humanity. At the center of this destruction you will find a hidden vampire society called “Vein”. Here, these people struggle to survive and have been blessed with special powers in exchange for their memories. But they also run the risk of succumbing completely to the bloodlust, which would turn them into creatures that completely lost any hint of humanity. As players navigate the world of this game, they will have the possibility to choose a companion to assist in their adventures, from the different residents of “Vein”, each one of them has different attributes, that can adapt to different types of game. This will be key to face the enemies that players find in the title.